The club intends to improve the general playing quality of the course over 2017 and beyond. Members will have noticed that the greens, approaches and tees were hollow-cored during May. 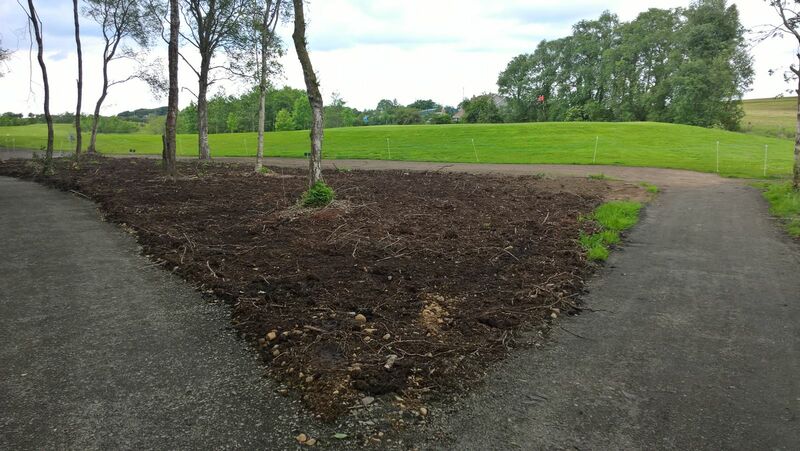 The purpose of this work is to relieve compaction, remove thatch, promote drier playing conditions, open up the profiles, allow air to reach the root zone and create a seed bed for the introduction of more desirable grasses. While this has caused some temporary unevenness, members should be aware that such work is essential if we are to improve putting surfaces over the longer term. We have also verti drained and top dressed the entire 1st and 9th fairways, in addition to specific wet areas of the 3rd and 8th fairways. This was done to allow water to penetrate through the thatch layer that had developed on these fairways and was preventing water from reaching the drainage system. Members should notice the benefits of this work during the winter months in particular. It is the club’s intention to repeat this process next year. Work has also been undertaken to improve drainage at the 7th hole. A catch drain has been dug above the green and a sump drain installed in the wet area short and right of the green. A similar sump has been created adjacent to the bunker at the 5th hole. 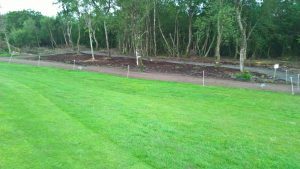 Major work has been completed at the 1st hole, where a new path has been constructed to divert traffic away from the wet area to the right of the green. In addition to the new path, the area to the right of the green has been verti drained, while the old path has been removed and replaced with soil. 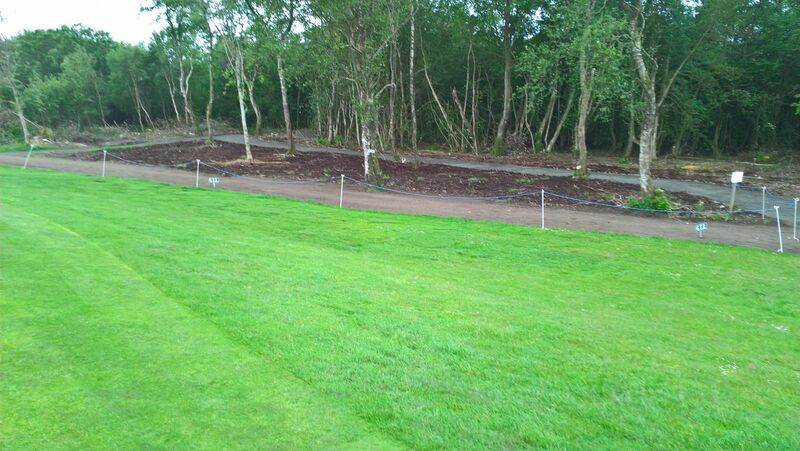 The intention is to create a wider run-off area and to improve the quality of the turf to the right of the green. The removal of trees will allow more light and air movement around the green, which will improve sward quality, prevent disease on the green and allow the area to become drier. The club wishes to thank Seamus Gillan for his advice and expertise, and Danny Henry for his usual high standard of work.